Day 8 - Resurrection Sunday! Jesus and his disciples were going to the Mount of Olives. Luke notes it as something Jesus had done often. It was the same place, with the same group of people, but at a special time. A time that will be specially hard, tormenting, disappointing, and downright heartbreaking. In this touching scene, Jesus was recorded to say four things which I will reflect upon this week. A) "Pray that you will not fall into temptation." Prayer and temptation seem to be the antithesis of each other. If one prays, one will avoid temptation. If one does not pray, one will be vulnerable to temptation. This link has often been forgotten by people. Temptations loom around us all the time. In the MESSAGE, Eugene Peterson makes Luke 22:40 more explicit: "Pray that you don't give in to temptation." When we pray, we are fighting against giving in. Like a valve of a pipe, prayer is like tightening the valve so that the evil liquids of temptation do not flow through. The spiritual discipline of prayer has often been used as a way to request for things. For some of us, we only pray when we feel there is a need. We pray only when we are desperate. In this instance, Jesus prays with full knowledge that it was a crucial time of spiritual warfare. 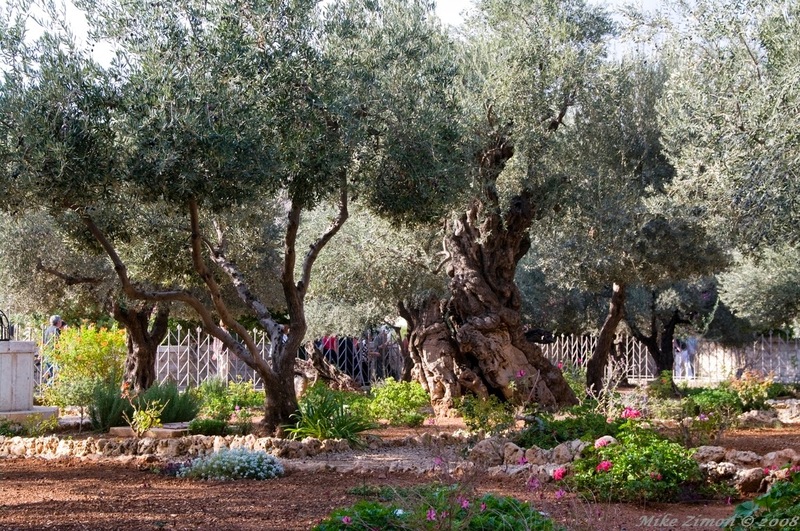 Note the allusion of the garden at Gethsemane. Adam and Eve were tempted at the Garden of Eden. Believers may very well sense the gripping similarity of the garden motif and recognize the huge possibility that like Adam and Eve, Jesus may have given in to temptation too. Being human, there is a chance that he may not follow through with God's plan at all. Prayer is going to be that mighty armour against the temptations. What temptations, we may ask. It could be the temptation to flee from the way to the cross. It could be the temptation to just forget all about the whole plan. It could also be the temptation to hide away from all danger. It is also possible that the temptation is one of doing what one thinks is best instead of what is God's best. For instance, Jesus could have treasured the relationship with God the Father so much, that the thought of being separated is too much to bear. So, his major temptation is to try to save this close relationship his way instead of God's way. That is why he prayed the next prayer. B) "Father, if you are willing, take this cup from me; yet not my will, but yours be done." In a sign of total surrender, Jesus decides to let God decide. He puts forth his own emotional desires first, that he has needs. He has legitimate desires. He has a limited powers. By asking for permission for God to take the cup away from him, he is being fully human. Separation from our loved ones and the thought of the coming excruciating pain are extremely difficult to bear. This prayer is where earth meets heaven. From earth, one floats the deepest desires of the heart. From heaven, one receives the ultimate instructions from God. Surrender lifts earth up to heaven. Obedience brings heaven down to earth. This particular prayer is not an easy one. The gospel writer records the deep level of prayer that makes sweat resembles blood dripping from his face. The use of blood is a significant sign of something deep and troubling. When a person coughs out blood, it is a serious case of internal injury. Bleeding and the sign of blood is not for the squeamish or the easily rattled person. Some people abandoned medical studies because they could not stand blood. For Jesus to pray as if blood is coming out of his forehead will represent one thing: Intensity and spiritual density at the highest level. C) "Why are you sleeping?" After praying, Jesus got up, and was hoping to see his disciples following his example. To his dismay, his disciples slept while he wept. Luke describes the disciples as being "exhausted from sorrow." This exhaustion from sorrow can be seen during funeral wakes when a loved one passes away. Family members would gather from afar and share their lives together in one final push of hope amid a coming despair. When one is physically tired, the easiest thing is to just sleep it out and forget all about it. This temptation to sleep our sorrows away is precisely what is troubling Jesus. Perhaps, the temptation that Jesus is talking about is the temptation of sloth, of laziness, of refusal to do anything in the face of overwhelming force that one cannot possibly overcome. Evil utters: "Give in. Resistance is futile." Prayer counters, "With God all things are possible." It saddens Jesus even more that he is even more alone in the department of prayer. If only the disciples had known that danger is much closer than they think. For if they had believed absolutely what Jesus had said, they would be awake, praying heaven down and storming the gates of hell with prayer. D) "Get up and pray so that you will not fall into temptation." Jesus gives them one more chance. What an amazingly merciful and gracious Jesus. Grace is that second chance. It is another opportunity offered after the previous one had been squandered. Jesus is facing not only spiritual danger but also physical danger. In prayer, one puts on the armour of defense against the wiles and temptations of the evil one. Even when Jesus had completed the prayer at Gethsemane, much more needed to be done. The disciples need to follow through, that they too will not fall into temptation. Let me close with the words of the song, "Gethsemane" sang by Jenny Philips. Pray that we do not fall into temptations of all sorts.